All the buzz from college advisers and employers about the value of internships, however, made the prospect of finding the right internship seem daunting: use these tips to help make your search easier. 1. Be creative about where you work. I sought internships at six different places in my area, but none of them were interested in me at that time. While I had been sure six choices would have yielded at least one favorable result, this was not the case. When I realized that my first few choices were not going to work, I took a step back and reconsidered my options. Was there anything out of the ordinary that I might have overlooked? Eventually, I worked out an internship with a mid-sized local church. The environment worked well for me, and I was helping the church by completing projects no one else had the time or resources to complete. Furthermore, I did not have competition for this internship because it was “off the beaten path,” away from the major companies I had considered earlier in my internship search. I encourage you to think of other ways you can use your college learning and talents to complete an internship that might seem unusual at first. You might even find the chance to help an organization that could use help but that applicants don’t think of often. 2. Consider multiple potential job descriptions. After I graduate, I plan to work full-time in an office completing routine tasks. As an intern, however, I had to recognize that there might not be a full-time office position with my ideal job description readily available to me. This is where creative thinking can come in handy for you as you look for an internship. Try to determine a need in the company and tailor your internship to that need. A company might, for instance, have several projects laying around that no one else has time to complete. Consider offering to work on these unfinished to-dos – you’ll gain valuable project experience and help the company’s full-time employees significantly. 3. Leave yourself plenty of time to set up the internship. I almost ran out of time to set up a contract for my summer internship and file the necessary paperwork with my school before the end of the school year. This was partly because I did not realize the amount of coordination and paperwork that goes into an internship, especially when it is for course credit, as mine was. Think ahead. Determine now when you want your internship to take place, then make sure you meet all the criteria for setting up an internship well before the internship will start. Remember, companies will want to make sure they have all their internship positions filled well before the summer or semester. 4. Practice excellent resume, cover letter, and interview skills. An internship is essentially a job, whether you have a paid internship or an unpaid internship. Treat the internship application process just as you would a job application process – apply early, apply often, and apply all of your best job-searching skills. Research your companies, polish your resume until it shines, and create good lines of communication with your potential employers through interviews, phone calls, emails, and even handwritten letters. Even if you are not getting paid to complete your internship, doing your job to the best of your ability will bring benefits that will affect you when you later enter the workforce. 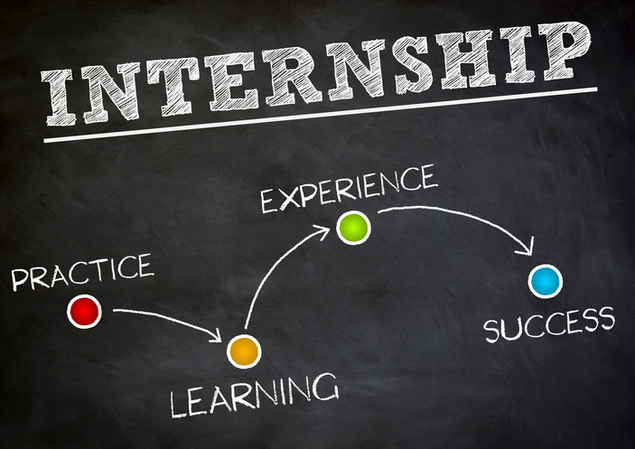 An internship is a chance to develop excellent work habits and establish rapport with a company. You may even work for that company full-time someday. Take every opportunity throughout the process to establish networking contacts, develop meaningful relationships with coworkers, and enjoy applying all the “book learning” you’ve done in your classes to a real-life project or position in your field.